WGRZ-TV (Channel 2) recently agreed to new contracts with key personnel to assure that one of the keys to morning success – stability – can occur for “Daybreak” for the next four years. 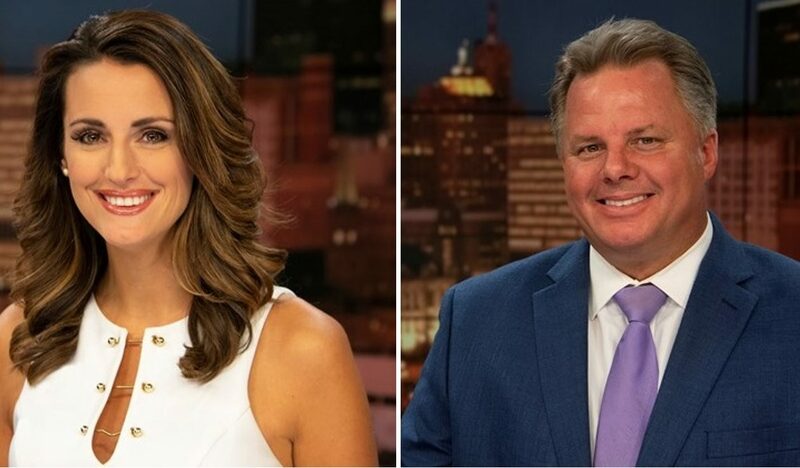 Co-anchor Melissa Holmes and chief meteorologist Patrick Hammer have both signed new four-year contracts to remain at the NBC affiliate. WIVB-TV's (Channel 4) “Wake Up!,” which was ahead in the key 25-54 demographic in February in the early morning when combined with the simulcast in carries on sister station WNLO-TV, has dealt with repeated change in its morning program. A graduate of Sweet Home High School and Syracuse University, Holmes has been at Channel 2 for seven years and has worked in Buffalo for 14 years. She moved to Channel 2 in 2012 from Channel 4. A West Coast native, Hammer arrived at Channel 2 in 2015 and was expected to eventually replace Kevin O’Connell as the station’s primary evening weathercaster. Although he is the station’s chief meteorologist, Hammer was moved to the mornings in the summer of 2016. In separate texts, Holmes and Hammer celebrated their new deals with humor and by referencing one of Channel 2’s promotional slogans.